If you have a job opening, you want to spread the word as far as you can. Sharing on social media channels like Facebook is a no-brainer for many. It is the largest social network with 1.79 billion users. Recognizing its own advantage and seeing your urgent need to share job openings, Facebook has decided to take action. Recently it has disclosed that it is testing a feature called “Jobs”, which is an additional tab on a normal Facebook page. Millennials are going to take over the workforce soon. Most of them hang out on Facebook, connect on Facebook, and check out new things on Facebook. Applying for jobs on Facebook is a natural next step. Being able to apply seamlessly in one online experience is important for these digital natives. Jumping from site to site and page to page will only decrease their interest in the job openings, due to a poor candidate experience. While there are several giant social networks, LinkedIn has been the only one successfully marrying potential candidates with job opportunities. Its influence has been huge, as it has become the go-to place for employers to post jobs. It might have been resting on its laurels for a while but now it’s time to wake up and innovate. Facebook is a serious threat – it possesses the largest social network with the most active users of all. Many people might not have touched their LinkedIn profile for a while, but on Facebook, they frequently update their profile and show (part of) their personal side alongside their work persona. That just makes Facebook better than the rest. It’s as simple as that. Besides, the competition will benefit job-seekers and employers alike: job openings will become more accessible and inclusive. In this job-seekers’ market, employers find it harder and harder to make their vacancies reach the right potential candidates. With Facebook joining the party, it automatically becomes the biggest online talent pool ever. This is of extreme interest to employers whose job posting options won’t be limited to job boards and LinkedIn anymore. Not to mention that Facebook is renowned for its targeted ads. So you can reach just the candidates you need, and at the same time, while avoiding being overwhelmed by irrelevant applications. The signs are all good and there are high expectations that “Jobs” will, perhaps, fix the broken recruitment market. So you might want to ramp up your job descriptions and ideal candidate profiles, waiting for the moment to fire them off with Facebook ads. Because whether you are ready or not, Facebook “Jobs” is coming your way. 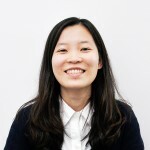 Hagi Trinh is an avid recruitment writer at Recruitee.com. The team is working on the hiring platform. You can sign up at recruitee.com to try it out and follow us on Twitter @recruiteeHR.